Analogue Signal Bell. Brass bell with metal base painted red and two red wires attached. Date is unknown. 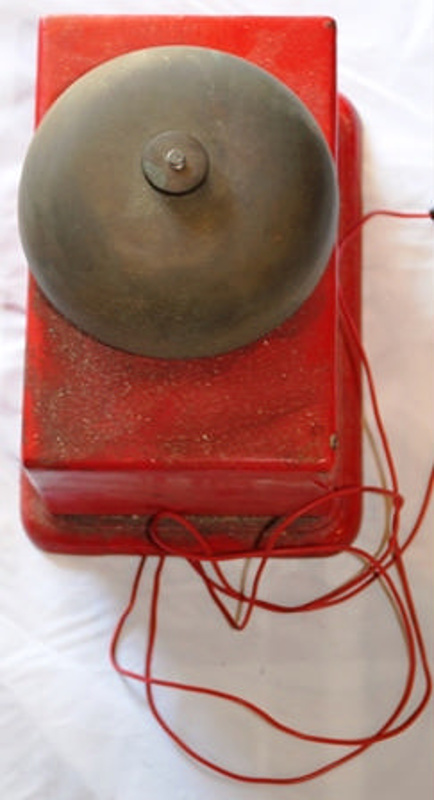 Brass bell with metal base painted red and two red wires.